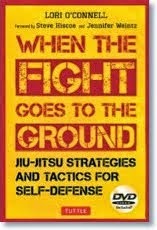 ome time ago, I posted an article DEFENSE AGAINST TWO ATTACKERS. 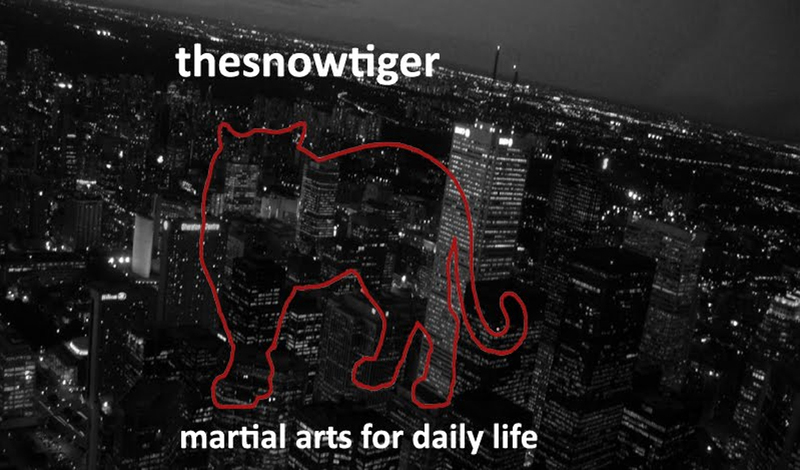 Because we spar so much in the striking arts with a single opponent, we often develop – and train - within a certain comfort zone. Sparring = one partner. I just have to handle her or him. In fact, I have the time to think and plenty of room to manoeuvre. No problem, I can do this with my eyes closed. That same comfort zone can be rattled when faced with an actual self defense situation where there are more than one him and her. I just like to re-iterate some of the points made in the first article. My students as well forget some of the important details of facing a mini-mob when they haven't practised for a while. Let’s then call this post a quick refresher. For those who enjoy being the centre of attention wherever they go, a multiple attacker situation is the unhealthiest way to gain notice. Rather than applause, those are kicks, punches and possibly weapons coming in from all angles. If you decide to deal with a punch coming at you from a 9:00 angle, you’re back is turned to the knife coming in from 3:00. Try staying at the centre when you spar a group of friends. See how quickly you become entangled, as though they’ve drawn a net around you. Notice how quickly one or two of them have managed to grab you. See how fast you’re going down. SOLUTION – always move out of or away from the centre. If you stop, plant your feet and then punch, the others will catch up with you. As well, you’re only doing one thing against many. SOLUTION - Hit while moving. Now you're doing several things at once – striking, moving away from the others, and looking for an escape route. We’ve discovered the hard way that if you use those high kicks and spin kicks that work so effectively against one or maybe two opponents, they tend to quickly lose their effectiveness against three or more. As that kick rises toward Attacker #1’s head, the other attackers are still moving toward you. In close quarter combat, what was once five feet away can turn into a swarming session within a second and a half. And against grapplers? No chance. SOLUTION – Move and kick low at the same time…perhaps the groin at the highest point, certainly the knee in most other cases. Your mission: break their legs. Using low kicks also allows you to use your hands at the same time. It’s well nigh impossible to punch someone at the same time as you’re delivering a roundhouse kick to the head. Since you're caught up in a potential swarming situation, your mind set can’t be the same as when you spar. Watch two people spar – they start shuffling about, sizing each other up, and eyeing each other’s defenses for openings. There is no such luxury in the brutal world of combat. Just utter those words “self defense” to typical students and they immediately go passive, waiting for the other to attack. The same holds true on the ground. SOLUTION – Close quarter combat means exactly what the term implies…combat. As soon as you know that you can’t escape, attack. It’s a switch in mind set…instead of being the one attacked you turn things around by becoming the attacker. Six men attacking one woman. That’s happened a few times near where I live. 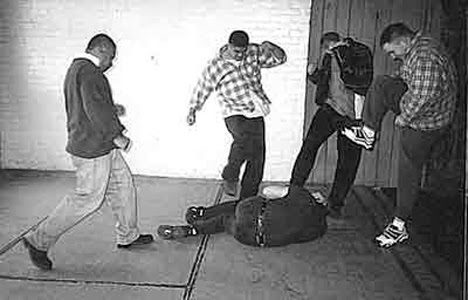 Six men attacking one man, leaving him with the aftermath of having to undergo brain surgery. And so on. SOLUTION – Since you’re now the attacker, you attack in a manner that makes the first assailant you strike scream out in pain. That may…just may…freeze the others in their tracks. And you may have time enough to escape. Recently, one of my students became so wrapped up in taking an opponent down during multiple sparring practise he forgot about the other one striking him in the back of the head. I call that entanglement. SOLUTION – Practise striking while looking at the others. Act like a football quarterback…look at the entire field. Combat is fluid. If you thought the others were positioned at 11:00 and 2:00 a second ago, think again. It’s not like the movies where all the bad people wait their turn to attack. I don’t want to sound like a know-it-all which I’m not but try sport grappling (not close quarter ground work) with two or three opponents. While you’re placing one gentleman into an arm bar, the others are kicking you in the head. SOLUTION – If you slip or are knocked down, immediately go on the attack. Targets: the legs. Get up as soon as possible. Smart fighters will try to cut off your escape routes while cornering you at the same time. SOLUTION – Shift to one side and away from the corner. This is why it’s so important to always be aware of the field…where the obstacles are, where the escape routes are. Don’t go fancy. You don’t have the time for complicated throws or take downs or kicks that look really great but get you entangled in a mess of bodies. SOLUTION – Strike or quick simply and precisely. Employ only four main target areas – head, throat/neck, groin and knees. When faced with a mini-mob, especially against opponents who may be armed, you may need some additional armaments. SOLUTION – Use what the terrain offers you – a chair, a stick, gravel and dirt. Or your car keys, pen, the edge of a cell phone. 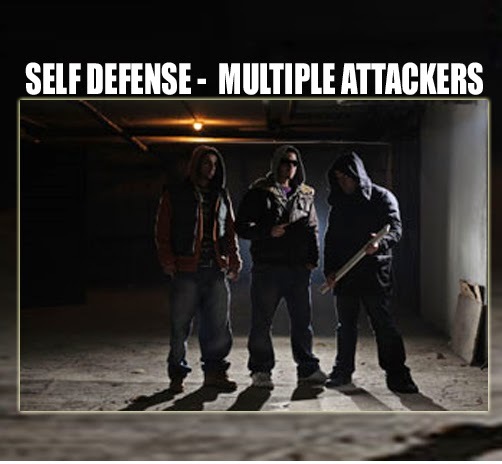 Here’s the math – your two hands against six hands in case of three attackers. Now you’re suddenly armed which may help the odds in your favour. Grabbing one of your attackers, wrapping a hand around his throat in a choke hold and using him as a type of human shield may work…for a while. Again, combat remains forever fluid. For now, the shield’s balance may be broken but as you manoeuvre in the field, he may be able to regain his balance. SOLUTION – A human shield is often just a temporary bonus in your favour. Use him…then drop him hard. A shield dropped correctly can be used as a two to three second obstacle that may allow time for escape. As always, there are countless more solutions to a multiple opponent attack. The best solution is not to be there. The next best is to run away. Solution number three is to talk your way out of the situation. Number four, is to fight and escape. As I say so often, please be aware of your rights to self defense. These may vary across the world. You’d be surprised about what seems like common sense – I’m outnumbered here and I have a right to defend myself – may be interpreted differently in a court of law.